Grind Tropical Food’s Buffalo Nuts® in a food processor until they are crumbs, but not paste. Combine Buffalo Nuts®, ginger snap crumbs, graham cracker crumbs, light brown sugar, ground cloves and melted butter. Press into prepared individual ramekins or a spring-form pan; set aside. 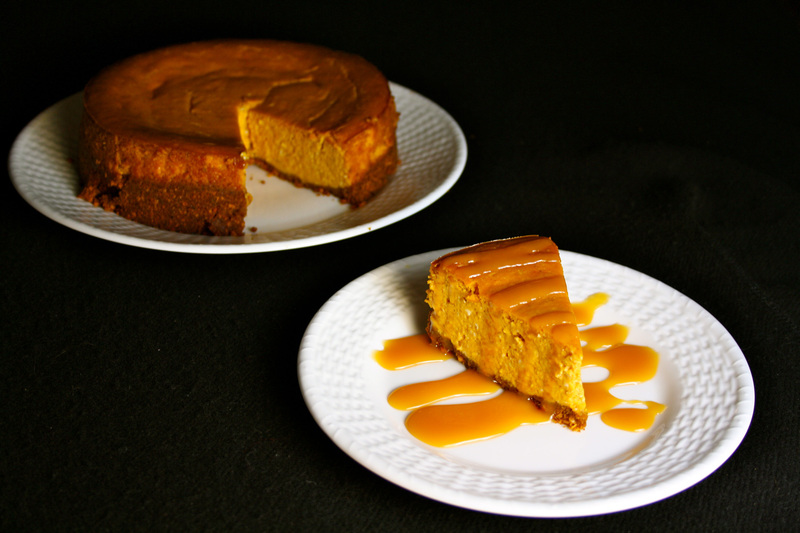 Add pumpkin puree, eggs, sugar, spices, honey, vanilla extract and flour. Beat until well combined and pour into crust. Spread out evenly and place in oven for 45 minutes for individual ramekins or 90 minutes for large spring-form pan, until middle is just set. Remove from the oven and let sit for 15 minutes. Cook sugar in medium saucepan. Add butter, cream, and cayenne pepper to combine. On October 9th, 2012, Tropical Foods had its Flavors of the Fall Recipe Contest with the culinary students at the Charlotte Campus of Johnson & Wales University. 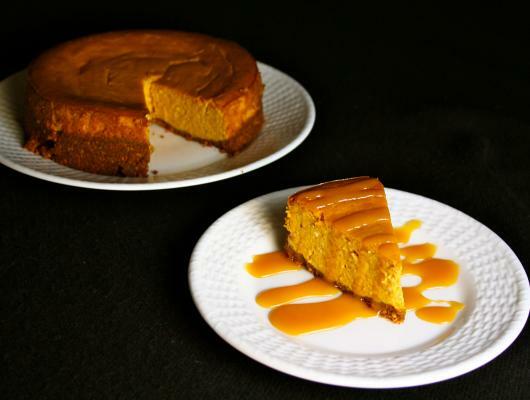 This recipe, Spiced Pumpkin Cheesecake with Spicy Caramel Sauce, was created by Claudia Hazelwood and Candice Carter.